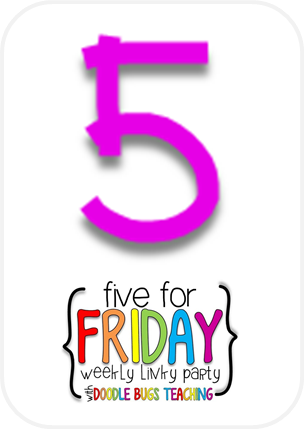 I am linking up today with Doodle Bugs for Five for Fraturday (Friday). Yes, I'm a day late. Because I had such good intentions, I just knew that I would link up yesterday. 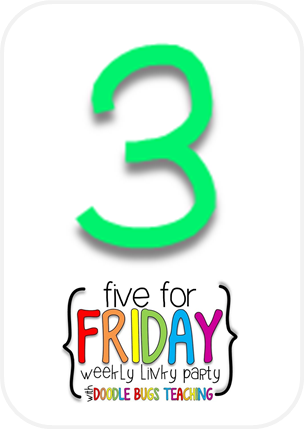 I remembered to take pictures throughout the week and I had five things ready to share. Last night, however, when I finally sat down, it was all I could do to keep my eyes open. I gave up and went to bed. This week, we looked closely at story elements. After reading aloud books and modeling for the students, I had the students work in pairs to read Chris Van Allsburg's book, The Stranger. He is one of my favorite author/illustrators of children's literature, and this book is perfect for the fall. Although students need a lot of help with the inferences in the story, they still enjoyed this book very much. After reading the book, students used a graphic organizer from my Thanksgiving Graphic Organizers packet. 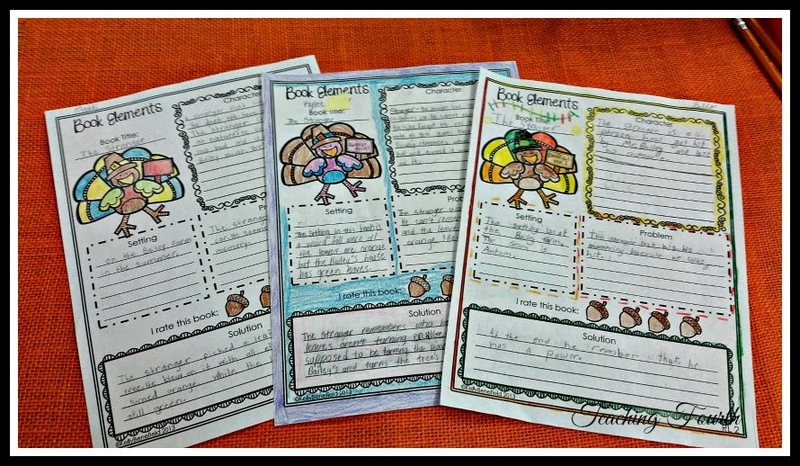 This packet contains 19 Thanksgiving themed graphic organizers that are perfect to use with any book or any Thanksgiving themed book. I chose to use the graphic organizer that reviewed story elements. These graphic organizers are perfect for getting students to think deeply about their reading as well as expressing their thoughts on paper. Our high school, middle school, and elementary have worked together to present an annual Veterans Day program for many years. We started many years ago in honor of our principal that we had at the time who was a Vietnam veteran. Over the years, we have had many special programs and awesome speakers. This year was no exception, in fact, it was one of the best that we have had in years. (Sorry, no pics of the program!) 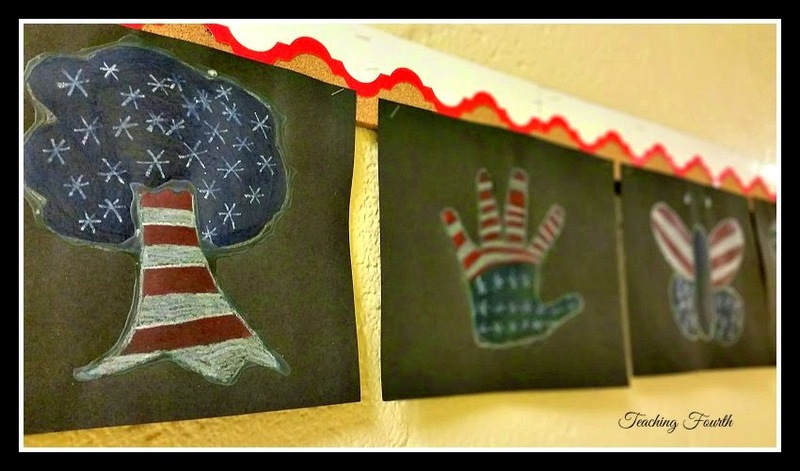 To decorate our halls, my students created beautiful flag inspired art. You can visit Upper Elementary Snapshots to read more. Speaking of Upper Elementary Snapshots, if you haven't visited, please stop by. 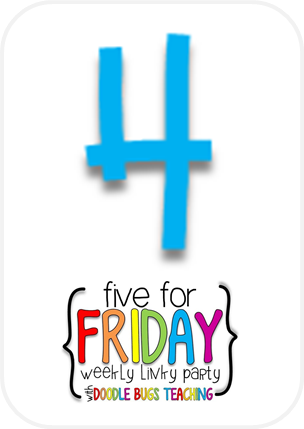 I'm thrilled to be a part of this new blog with 11 creative teachers. You will definitely recognize these fantastic teachers from TpT! 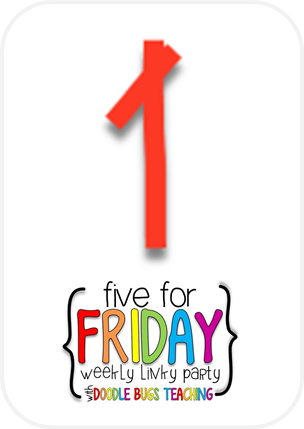 We would love for you to follow our blog for wonderful ideas, freebies, and giveaways! Another fun activity that we did this week was in writing. This is not an original idea, but I found this idea many years ago (I think it was in a Mailbox magazine). 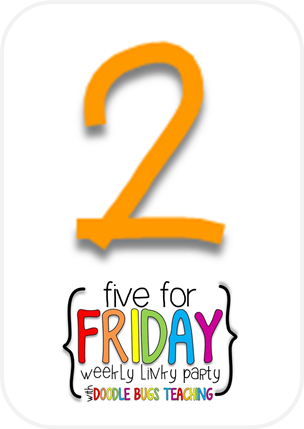 I recently saw it on the Teaching Channel. 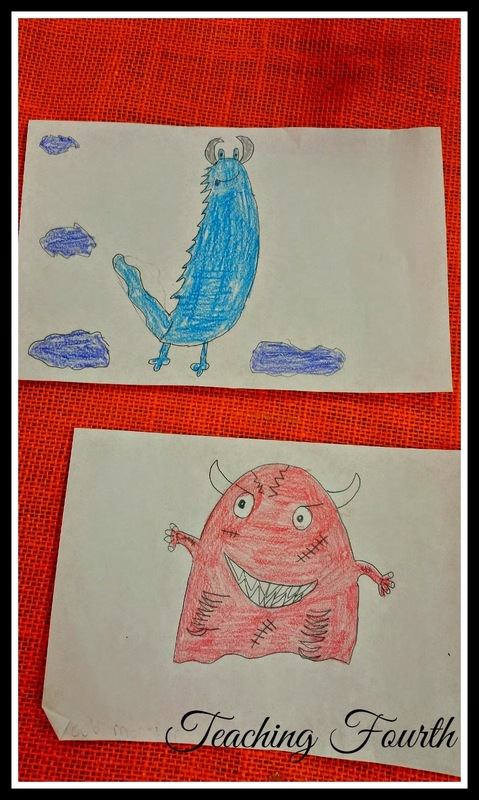 I simply had my students draw a monster (the cute kind). 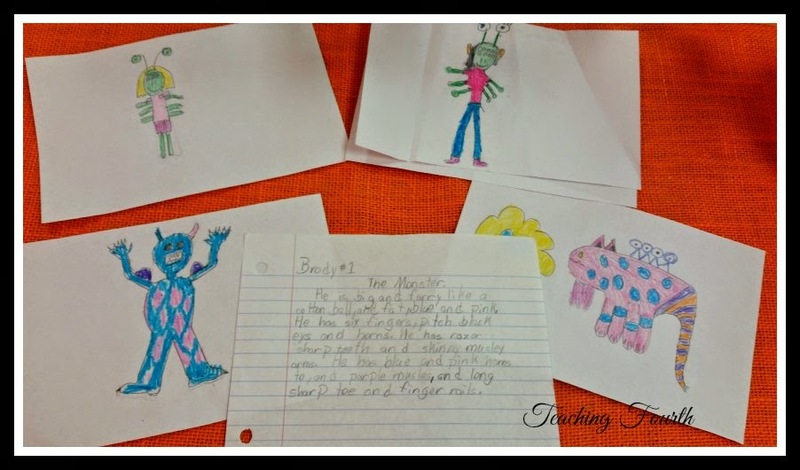 Then I told them to write about their monster to describe how the monster looks. When everyone had completed their monsters and their writing, I took them up and chose 4 pictures to display on the board. Then I read one description and let the students guess which picture the writing went with. After reading a few descriptions, we then discussed the importance of accurate descriptions. We also talked about ways to improve descriptions. The students loved this. Also, this week my church had its annual Community Thanksgiving Meal. Each year, the ladies in our church spend two days preparing and cooking a Thanksgiving meal that is free to all of the community. Because of school, I have never been able to help the ladies during the day as they work and prepare the meal, but this year, because Veterans Day fell on Tuesday, I was out of school and able to help. We had so much fun working together making slaw, getting the sweet potato casseroles ready, and peeling potatoes. Most of all, we had fun just laughing and talking and fellowshipping with one another. Wednesday night, we served over 300 Thanksgiving meals. This is a very large number for our little church. I felt very blessed to have the opportunity to participate this year.